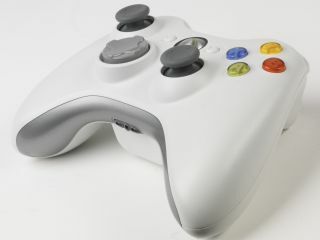 Will Microsoft's rumoured new motion-control tech spell the end of our beloved control-pad? According to reports and leaked pics, Microsoft is rumoured to be ready to unveil a new motion-sensing device that can map the gamer's entire body and requires no extra controllers. The reports, which emanated from tipster's pic of a white sensor bar under a TV over on Engadget, have understandably sent the pre-E3 rumour mill into overdrive. The sensor bar is said to feature a microphone and camera and be able to map a user's arms, legs and overall body movement, right down to movements of the fingers – ideal for keep-fit and fighting games, in particular. Video conferencing and games with video. You can "move objects on your screen" and the other party can see what you're doing in real time. All intriguing stuff, for sure, but right now we have to file this one under 'E3 rumours to keep an eye on' when we head out to LA early next month. Microsoft boss Don Mattrick noted recently that: "Microsoft is gearing up for a big presence at E3 which will completely transform how people think about home entertainment." But then again, of course, they say that every year!